Much is also about the head cinema around the car. High-paid marketing people have invented terms like "premium" or "appearance" to get cinema going. If we get into the vehicle of a premium provider, then we have the desired expectation. Let's start a car that stood at the scrapyard price months ago at the dealership, then ... yes, I think my readers and I, we understand each other. The expectations for the first test drive with our project aab was correspondingly low. Zero, to be precise. All the more surprised me the head cinema. 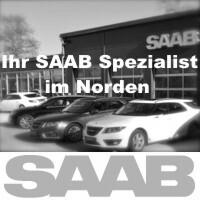 Saab starts, Saab drives. He steers, he brakes, as cars usually do. After a few kilometers, the cinema announces itself. Drives like a new car, it says. But if no one, return the eyes. But it is, says the head cinema. Hmm. If you would close your eyes, by the way, not a good idea, if you are behind the wheel, then you could really come up with the idea with the new car. Brakes, steers, springs like new. Everything is new! New brakes, new suspension, new springs. Then 18 "tires in the dimension 225 / 40. Okay people! Who knows his Saab 9-5 the first series as a cozy, somewhat indifferent to driving senior transport, which should at least now revise the chassis and all its sockets. The 9-5 was well-defined from the factory, with the larger tires he rolls over the track like a modern car. 1999 were 16 "extravagant, today we talk about much, much more. 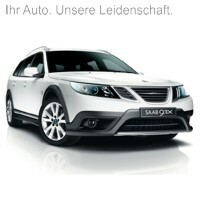 The 18 "Inka are the maximum for the Saab and harmonize not only visually with the 9-5 station wagon. The station wagon drives through life without being too tight or in any way inharmonious. And otherwise the 9-5 surprises on its first exit through the Spessart. The first few kilometers lacking in revving; with nasty, long climbs in the low mountain he is struggling. 150 Softturbo PS make the wagon no athlete. But with every kilometer driven the engine turns more freely; If you keep the speed above 2.000 rpm, then things are moving fast. 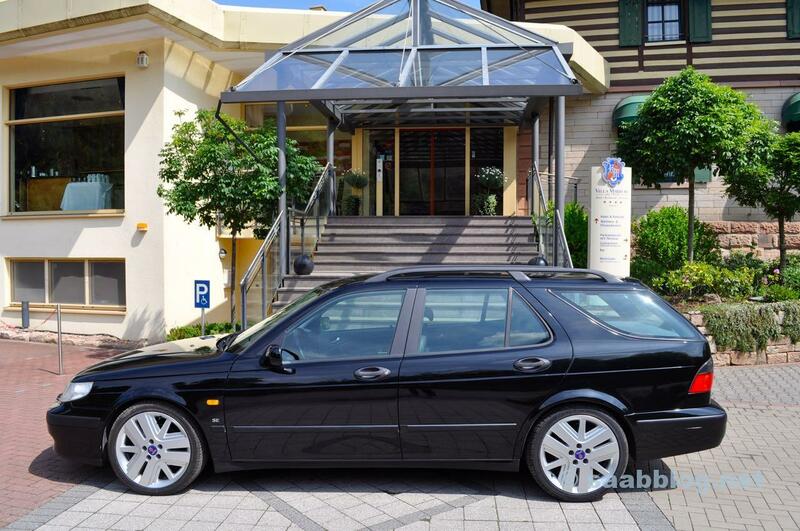 The 9-5 station wagon rolled 1999 off the line, the exact date we will determine in the Saab COC archive yet. He could be a very early station wagon and yet comes up with qualities. The bodywork is still solid, the workmanship is good, and not all products of the competition are still so trustworthy after a good 17 years. Highway? Lohr? 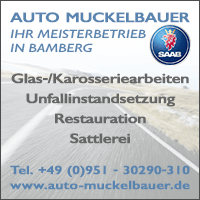 Aschaffenburg? No matter. 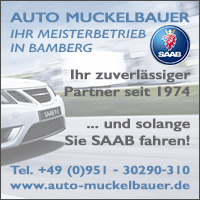 Driving Saab is fun. Saab meets tractor and ICE. Construction site Schwarzkopf Tunnel. The outside temperature is at 25 degrees, the interior is controlled by the automatic climate control to a pleasant 22 degrees. She does that unobtrusive, draft-free, without intervention by the driver. The radio is well received, even in the Spessart regions, where modern and expensive equipment has problems. With cassette and CD options, the unit is a modern anachronism, but goes well with a car that has been on the road for almost 2 decades. The SID has its pixel illness, someday a new one must come in. But otherwise? Everything is relaxed, everything is relaxed. 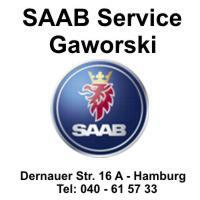 Driving Saab 9-5 is like going on a trip with a good old friend you have not seen in years. 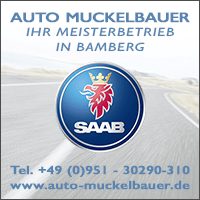 The 5 gearbox is sufficiently precise, sometimes a bit bony and sticky, but just a real Saab gearbox - like the engine with its Trionic, which belongs to the highly cultured machine as 2 liter. The technology works, in Keel you have done the homework. The interior needs care, the leather color, the carpet cleaning. The seals need attention, on the driver's door and tailgate only helps a barter. Little things that I will gradually work off. Has the investment paid off so far? About costs and what has been done, we talk in the next few days. They are a special chapter that requires a close look. 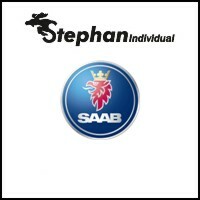 The Saab has already won in another discipline. He is noticed on the Spessart Tour. Passers-by turn heads, convertible drivers see what that drives. Yes, the 9-5 first series wagon has become scarce. And if one is on the road, then often as a consumption car. Unkempt, matt paint. In glossy black and with 18 "Inka rims you can not see him otherwise. 100 points for our veterans at the kilo price! The story goes on. 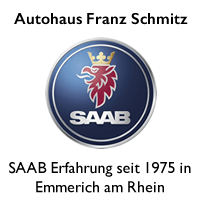 Since Paul is with us, visit ... from Saab friends, who find Paul good. 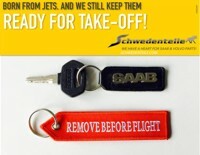 And from people who have absolutely nothing to do with Saab and are by chance our guests. 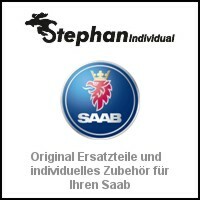 At the latest then when they ask if they are allowed to sit in the black Saab, at the latest then we know that we have won with the Projektaab. 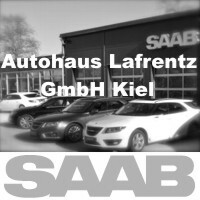 10 thoughts too "Saab 9-5 combi 1999 test drive"
There are memories of our 9-5 awake! Your job is extremely important, who else deals with old SÄÄBen? The note with the guide is very good, after all, there are already a few years and many 1000 kilometers mileage on the plate. What a great car and how beautiful you look again. 1. The introduction, with its allusions to the relationship of mind and feeling to marketing. ... because there is much more to it than can be seen at first glance. 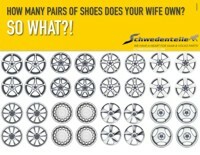 In fact, one must first of the wheel and tire dimensions refrain. They are just the icing on the cake, with which an old car can be adapted to the zeitgeist of automobiles - ever firmer and more sporty vehicles, which increasingly rarely have to go anywhere on an unpaved road. The far greater difference between old and new, however, is actually wearing out. It's amazing how this difference can melt when a vehicle is well maintained. Not just the tires, and not just the brake pads, but all parts of a chassis are wearing parts. All ! All ! ! ALL ! ! ! It remains the engine. 150 Ps and 240 Nm are in fact outdated for a car of this size. Well, maybe that, but certainly not spearheads or at least upper midfield. What about 210 Ps and 320 Nm? That also fits better with 18. " Just stalk and so many Ingolstadt will rub his eyes powerful. Especially when the Ingolstadt driver first deliberately turns left and then right again, while Paul's driver looks forward to his rearview mirror and how easy it is to accelerate out of a motorway construction site. And now for many turbo years. Paul looks great with these rims. Well, with a neat SAAB from the 90ern you can still appear everywhere today and reap increasingly positive response and interest. The first 9-5 limousines will be classic cars next year - you really do not see them (unlike some of our competitors). The chassis is one of the most important points. Grade new bushings bring back incredible driving feeling and the car feels young. The topic of performance I actually see relaxed. I do not have to participate in a company car race with a 20 year old car. It's silly to see those stressed guys who have to show that maybe the Superb is one Km faster than the Passat with the same engine and the A4 both pushes. The performance issue is similar. An 9-5I, even as Aero, no longer pulls the butter off the bread today. It is still fun and enough. very nicely said GP362. That is exactly my opinion. Very nice (and apt) word. I actually (consciously) read for the first time. And yet, that an 900 was allowed to drive with 160 PS, an 9000 with even more and a Paul years later (despite turbo) with 150 PS came on the market, only makes sense from the point of view of the time responsible for SAAB GM-ler. 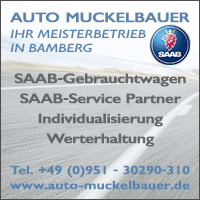 Since there was now a relatively limp V6 on the corporate shelf, to which the SAAB entry-level engines had to maintain a certain distance in the future. And as with the turbos before, the 9-5 is much more interesting than the maximum speed. Yes, the latter also increases unleashed (by 10%), but the increase in torque (whopping 33%) is what completely transforms the car into a true SAAB-T, making sense of the already built-in turbo. Choked, the 2,0er drives almost like a naturally aspirated engine (and indeed has similar data). In the 9000 Aero, the tachometer scale went up to 240km / h. Even in the early 9000 turbos already the speedometer was scaled to over 200km / h.
Your view with the wrong entry-level engine for the 9-5 I can not understand. You compare the top engines of the predecessor models with the entry-level engine of the 9-5 - that does not fit. 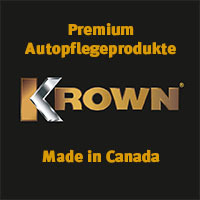 For the 9000, except for the very last model years, the suckers with between 126-131 PS the entry-level engines. In the 900 last as well, the years before 110 PS, and initially even less - which is not equal to 'little'. The top engine of the 9-5, to compare it with the 160 PS of the 900 and the "even more" of the 9000, was above the top engines of its predecessor - so there is a traceable, "smooth" development. I think even with the entry-level engine, the 9-5 is fully motorized. Even within the time he came out, he should be considered - what were the smallest engines in the competitor models? 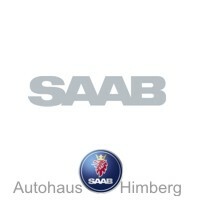 So, in my opinion, the 9 5 entry-level engines do not follow any "GM decisions", but understandably the SAAB career.